This is a little follow up to my video from yesterday with a full description of how it’s made! 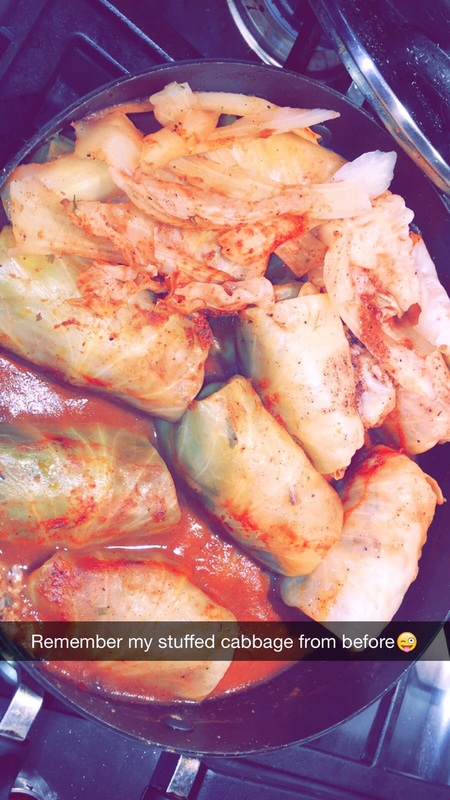 I love my cabbage and love it stuffed; sometimes I crave it with a little meat and sometimes I want to have it vegan style. Both ways are delicious and just as easy to make. For the meat version I am using organic beef and steamed rice cooked till ready and adding all my greens and spices including parsley, dill, and cilantro. I also include finely shredded onions and add some Celtic salt, cayenne pepper, and turmeric. Wrap everything in the leaves and cook in a pot till tender and ready! The vegan version includes all the greens and spices but uses broccoli, peppers, celery, and carrots. Instead of the rice I am using quinoa. The sauce you see is regular tomato sauce, Celtic salt, cayenne pepper, turmeric, and a pinch of all spice.